We all love working with microcontrollers, retro terminals, and sensors, but communicating with them can be a pain. If you’re just trying to use your computer to talk to a single device, a standard USB-to-serial adapter is fine. But, what if you have multiple devices you want to simultaneously communicate with? And, what if they use different protocols? Jesus Echavarria’s Serial Star is a unique single-PCB device that packs four independent USB converters which can handle all sorts of jobs. A few years ago, Echavarria designed a Dual USB Serial and I2C Converter to do a similar job. It had two Microchip MCP2221 USB-to-Serial converter chips that could be used for TTL/RS-232 serial communications, I2C communications, and basic GPIO tasks. It even featured 5V or 3.3V selection so you could talk to practically any device you wanted. But, it required two USB cables to connect — one for each converter. That was a bit of a pain, so Echavarria has updated the design with an integrated USB hub and double the capacity. 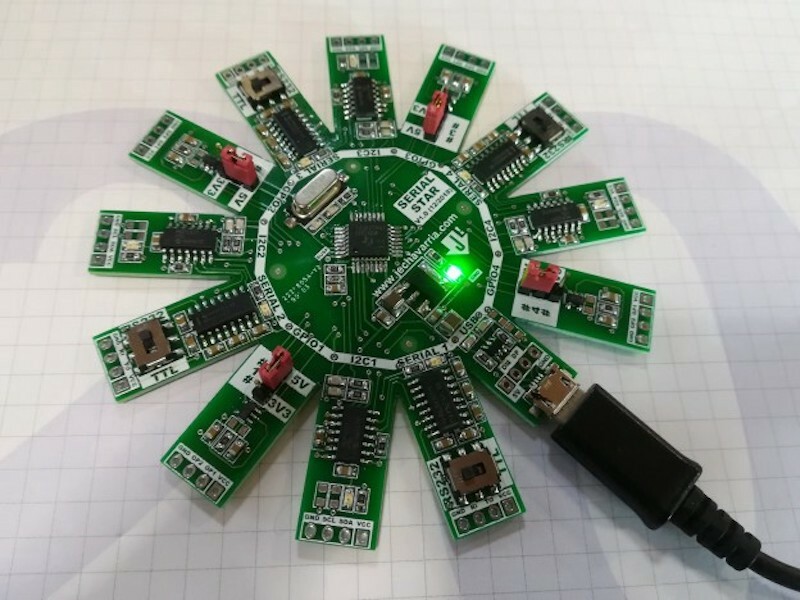 The new star-shaped PCB has similar functionality has the original, but has two more onboard MCP2221 converter chips and a built-in USB hub chip that connects your computer to all of them through a single USB cable. 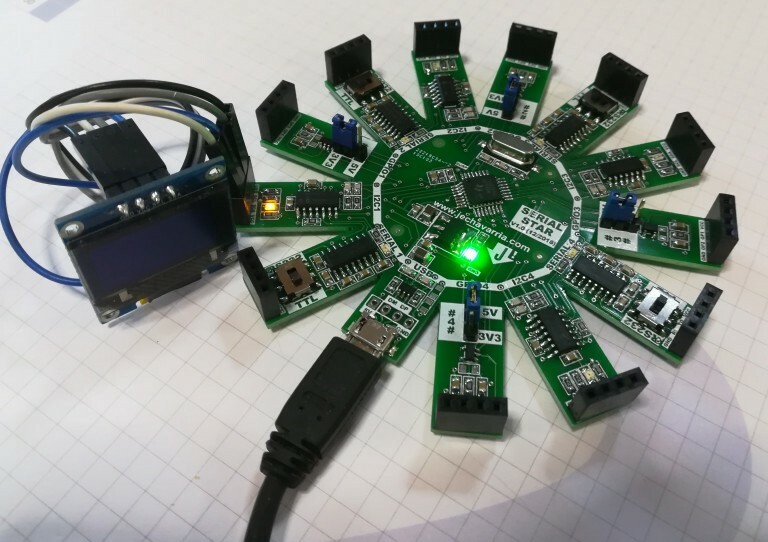 The star has 13 points: each of the four converts has a GPIO point, a I2C point, and a serial point, with the 13th point being used for the USB cable. Power is provided by that USB cable, so you can communicate with a handful of devices using just this one PCB. Echavarria isn’t selling it, but he has provided the files so you can build your own. Four Independent USB to Serial/I2C/GPIO Converters on a Single PCB was originally published in Hackster Blog on Medium, where people are continuing the conversation by highlighting and responding to this story.